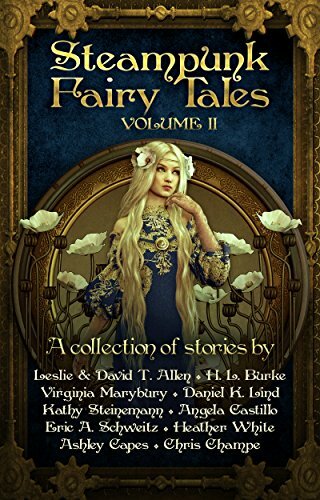 I have a new short story out that is exclusive to this wonderful little "Steampunk Fairy Tales" anthology. This is actually the second volume in this series. I read and reviewed the first volume earlier this year. I do not have a story in volume one, but I very much enjoyed reading it, and it is free, so click here to download. Volume two can be read independently of volume one, or you can read them both. My own story is a version of Pandora's Box called The Clockwork Cabinet, and I really loved writing it. I also critiqued multiple stories in the group, and they are a lot of fun. Various different styles and retold stories, all with a Steampunk flare. It's a really fun collection of stories, currently only 99 cents. Click here to download.